It's that time again, dear readers, for the North American Nintendo Download update. This week it's all about the Nintendo Switch, with a major retail title and a few promising offerings on the eShop. Let's get right to it. 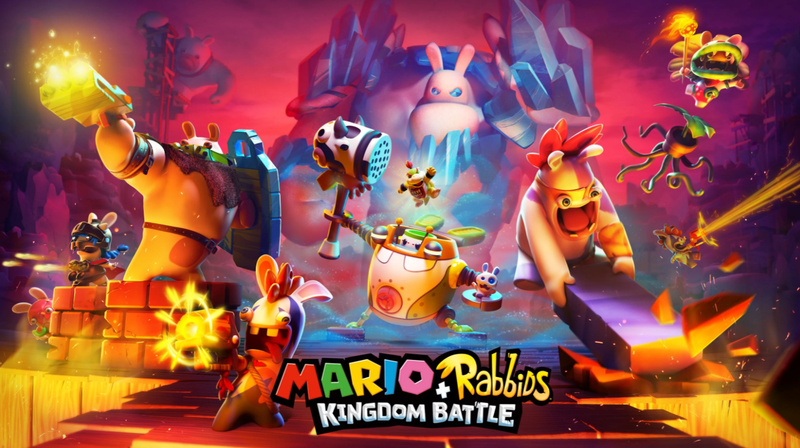 Mario + Rabbids Kingdom Battle (Ubisoft, $59.99USD) - A mash-up that caused some concern when originally rumoured and then leaked, this turn-based strategy has done a good job of winning over sceptics. It has a lot to offer with exploration and puzzles supplementing the battles; we'll have our review with you ahead of release, but until then you can check out our extensive preview. Available from 29th August. forma.8 (MixedBag, $9.99USD) - A title that caught the eye in the later days of the Wii U, it arrives on the Switch eShop boasting of 1080p (docked) and 60fps performance, along with portable play. A stylish and interesting game in which you explore an alien planet, it is another high quality title for the store; we loved it in our forma.8 review. 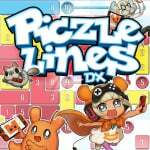 Piczle Lines DX (Rainy Frog, $14.99USD) - This puzzle game originally made a name for itself on smart devices and comes to the Switch with support for the touch screen as well as controller support. Rather like a blend of Picross, Sudoku and jigsaw puzzles, you draw lines to match colours and space requirements. It's rather addictive as we noted in our first impressions, and a full review will be with you very soon. 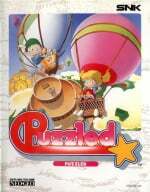 Puzzled (HAMSTER, $7.99USD) - Known as Joy Joy Kid in Japan, this is a bit like Tetris except you're clearing specific lines in order to free a trapped air balloon. Various quirks and enemies make life tougher, so this is perhaps more fun and interesting than it sounds; we'll let you know what we think of it in a review. Huh... nothing on 3DS or Wii U at all. Nothing worth getting. Already have a physical copy of Mario + Rabbids pre-ordered so yeah. Nothing for me. Not buying Mario Xcom. Ew. @UnseatingKDawg yeah wheres my last gen update? WiiU getting a couole VC games at least. NintyLife didnt do their job i see..
Where is Axiom Verge download version? Forma.8 and Puzzle Lines DX for me this week. It's one awesome eShop week. Forma.8 just seems like a good Metroidvania, and Puzzle Lines DX will be the perfect game to chill out with while watching TV, until a REAL Picross game comes out on Switch. The Switch is really on fire! Getting physical copy of Mario and Rabbids. Mario + Rabbids in 2018 if they add Daisy. Mario and Rabbids for sure. Forma.8 I think I'll skip for now. Puzzled isn't tempting me, it looks a bonus mode that used to be in Tetris Party Wii . I think I'll get Magical Drop 2 instead. Hopefully Spinmaster will be next week's Neo Geo game, I'm looking forward to that. No 3DS or Wii U offerings? RCMADIAX must be slacking. I tease, I tease. It is odd though, especially for the 3DS. For me, I've got my preorder for Rabbids physical. Can't wait. Unlike most people on here, I didn't lose my mind when the rumor came out, and decided to wait and see how it would be at E3. What do you know, it looked pretty good! Is this meaning that Switch have sold good enough already, starting of a new era only Switch. Nah I don't think so, just seems like an off week. That will eventually happen, but not for a year or two. I will be getting Mario + Rabbids in physical form - I have to save precious space on my 128GB SD card for digital-only titles. Haha, my apologies then. Sometimes written sarcasm gets lost. I will order Mario + Rabbids at my game shop on Sunday as usual. Getting Mario + Rabbids physical and the Puzzled game (never played it originally). But I was still looking with one eye closed and hoping to see Picontier for 3DS... soooo excited for that. Nice Capcom sale this week otherwise! 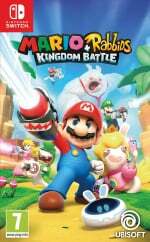 Doesn't Mario + Rabbids Kingdom Battle also get a season pass when the game comes out? @crackafreeze Ace Attorney games are way awesome. The Trilogy and a Duel Destinies ate my recomendations. But yeah, sounds like a lot of us are in the same boat. Picking up my preordered M+R physical copy on Tuesday. Mario + Rabbids = Fun! I put 17 hours into Chicken Wiggle this week and plan to put another 17 in each week until Samus Returns comes out. I'm good with not buying anything. Just to be a jerk, I'm getting Shenmue III on the SNES Classic. Apart from Mario + Rabbids: Kingdom Battle, it's a terrible week. Retail copy of Mario + Rabbids. Still waiting on a Mario and Rabbids review before I commit. @gatorboi352 The critical reception for Zombi U was less than "amazing". @crackafreeze Buy the AA Trilogy; you won't regret it! Having picked up said trilogy last year, I'll be buying Spirit of Justice on sale this week. Waiting for reviews of Mario + Rabbids. Don't like Xcom "aka not good at tactical games" so I have spared myself M+R, but my friend is getting a copy in the mail soon. I'll watch him or get dragged into co-op. Wasn't a Pokken demo coming out today? Meh, nothing worth the cash. Ill buy Mario+Rabbids sooner or later Used on Amazon Warehouse..
Was already planning on playing XCOM2 expansion on the 28th anyway. No reason to pay double for a clone with a mario skin. Have Mario+Rabbids coming in physical form. Isn't the Pokken demo out today? I'll get Mario + Rabbids if the price drops. I was and still am sceptical to that game. I just finished Zelda and I'm currently showing some love to me PS4 backlog. Playing Horizon Zero Dawn and then the Uncharted Nathan Drake Trilogy. I also have Splatoon 2 for multiplayer sessions. Physical Kingdom Battle for me. 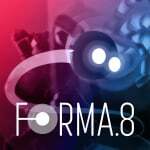 forma.8 looks cool and Puzzled looks really great! @thesilverbrick @gatorboi352 Nevermind that all the initial impressions I've seen for this game have been very good. To be honest, I'm not interested, but it seems like a decent game. I just have an irrational hatred of rabbids. I'm happy for M+R as a win for the Switch in general, but the mashup is not really something that gets me excited. I do like strat games, love Mario, and the Rabbids do manage to get a grin out of me, but I'm not likely going to buy the game. I will at least, rent it through GameFly to see if playing it changes my feelings. @roadrunner343 I'm totally with you there. The Rabbids make my skin crawl after being inundated with them in the Wii era. Nothing for me. But next week I'll get the Striker Pack. I haven't played the first Gunvolt in a while, and I haven't played the sequel at all. Mario Rabbids physical pre-ordered for (much) better price and flexibility. Forma.8 I'm interested in but too busy to add more games to the pile. @thesilverbrick haters gonna hate, amirite? For me, it was hands down the best demonstration of dual screen gameplay on Wii U and in my favorite genre no less. I own more Ubisoft Wii U titles than 1st party titles. They were a godsend for Wii U owners. While I loved the concept of ZombiU, I felt like it stumbled with being needlessly difficult. I get that the point is that you're supposed to die, but I felt like I was beating zombies with the cricket bat 20+ times before they finally went down. I'm exaggerating that number of course, but it took so long, it seemed like that sometimes. It was just more of a chore than a game to me. Glad you liked it though, to each their own. I hope they do a sequel and refine some things. Where is our 3ds discounts? Mario + Rabbids kingdom battle I probably would've maybe pre-ordered for the bonus, but ehhhhh, it came out for a bad time for THESE ROO, since.....JOB REASONS. ....oh swell, Piczle Lines DX looks like a swell puzzle game need some more on the switch anyways. This Mario and Rabbids thing I still haven't even watched the trailer. I just don't care and never will. And it's not just due to the Rabbids, though that's certainly part of it, also not really my genre and by and large I have no use for cookie-cutter Mario spinoffs. Cookie-cutter? It's not like this is Mario Party or something, it's an entirely new concept for a Mario game. I mean, if it doesn't interest you that's fine and all, I just don't get what you mean by that. I think Splatoon, Game & Wario, Nintendo Land and Pokkén were better at dual screen gameplay. Mario Rabbids for me. Hope the DLC does add other characters as well as rabbids dressed like them. No neogeo game? Oh well. @Lizuka So you've played the game already? Not a bad sale price for Ducktales: Remastered. Definitely a fun little platformer that I recommend grabbing! I have to echo the few other commenters asking what happened to the Pokken Demo. I'm confused, I remember seeing the article about it coming out today. @UmbreonsPapa You can't play everything, you have to make judgment calls pretty often or you'll have no money and time. Nothing about this interests me so I won't be playing it. Wait what? I thought we were going to get a Pokken Tournament demo, too! Was that only a Europe thing?? I don't have a Switch, so...nothing. Trying to decided on if I should just buy the American Digital version of Mario + Rabbids, or wait for the physical UK release next Tuesday. EDIT: Never mind. I thought that it meant the game was out today. Kind of a weak week overall if you are not getting Mario + Rabbids. I've never played an Xcom game so I'm still not sure if it's something that's up my alley. Pretty sure based on early thoughts that have been going around it's going to review well, but still undecided. It would of been a great time to have that summer sale now NOA, at least NOE did something for it's consumers last month. Nothing this week. Mario and Rabbids looks cool, I'll be getting the physical version. Was planning to pick up Forma.8, but will probably wait just because I'm cheap. Will get M + R used sometime later. Decent 3ds eshop sale. Picked Airport Narita for 7.77. Might get another one of the train driving sim games on sale. @masterLEON thanks. I didn't see the ACA part in the name. I'm waiting to see some reviews on Mario + Rabbids. Can't help being skeptical. Mario + Rabbids for me! Mario + Rabbids looks good, but I'm going to wait until all of the DLC is released until I buy it. Forma.8 looks good, and I'm glad I skipped it on Wii U now that it's on Switch. @gatorboi352 I don't think Ubisoft gets the credit it deserves for its support of the Wii U. They stuck around and published big name games long after other third-party developers jumped ship. Rayman Legends and Child of Light were some of my favorite games on the system. Note for Nintendo: more people own a 3DS/2DS than a Switch, and yet you give them nothing this week? Not cool. Unfortunately I can't buy Mario+Rabbids yet. I feel like this game is better suited as physical copy for me, but I'm currently here in Japan until the Holidays so I won't be able to buy one at launch. Really wanna get to Mario + Rabbids, but the combination of moving, college and a massive game backlog are making it hard to justify. Maybe in a few months.